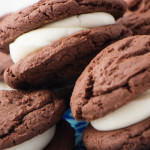 Homemade Oreo Cookies are the best! You are guaranteed to see someone’s face light up with all those words combined. This is another one of those classic recipes made with a mix that taste just like grandma’s tried and true recipe from scratch. The key to this one, however, is using Devil’s Food Cake. I don’t know about you, but I seem to struggle when a recipe asks me to roll anything into uniform balls. First, they are all different sizes, second my hands are a mess, and third it takes so long to roll them all. So, one of my favorite kitchen gadgets is the mini cookie scoop. I promise, get a good one because you will be using this often. This is one of those recipes where a mini cookie scoop is golden! Each one perfect in shape and size instantly to make the best Oreo ever! 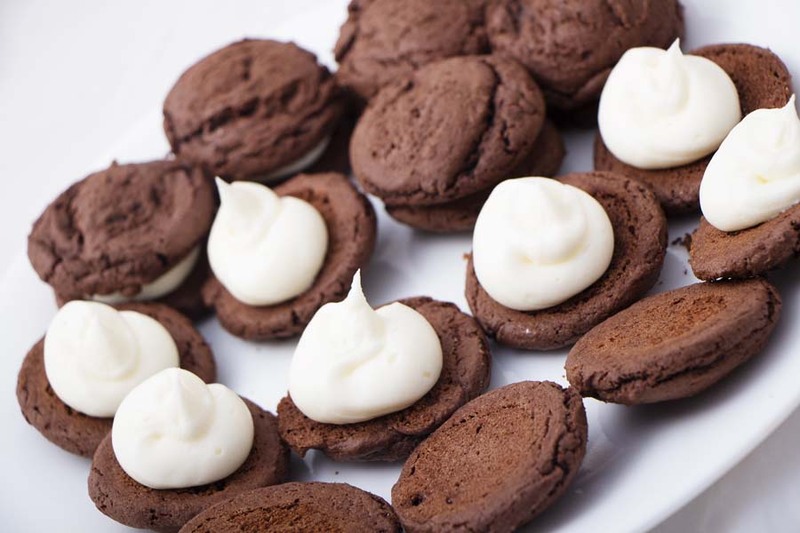 Mix up the frosting and place a dollop on a cookie and top with another cookie. This is pretty much a serve instantly deal because the sudden crowd hovering around you isn’t about to wait. 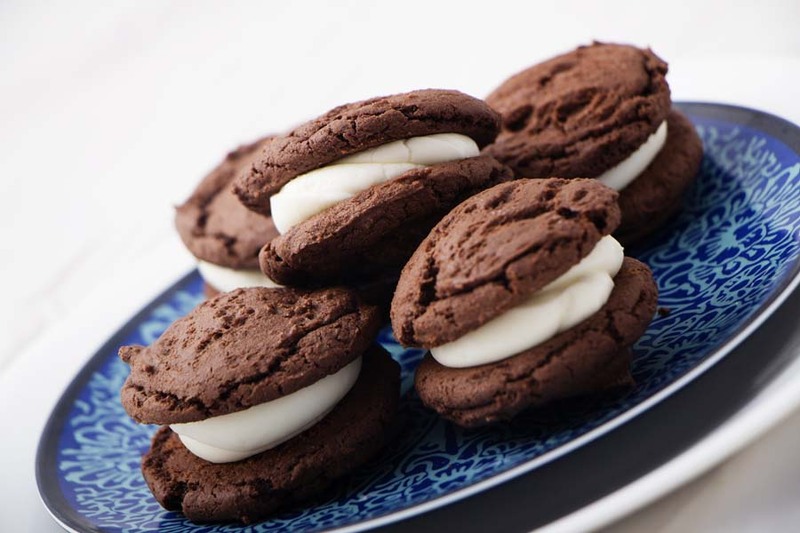 If you manage to have any these Homemade Oreos left… make sure you put them in the fridge because they are just as good cold as they are hot off the pan! 1-2 Tbs Milk *(optional)To reach desired consistency. This frosting should be very thick. 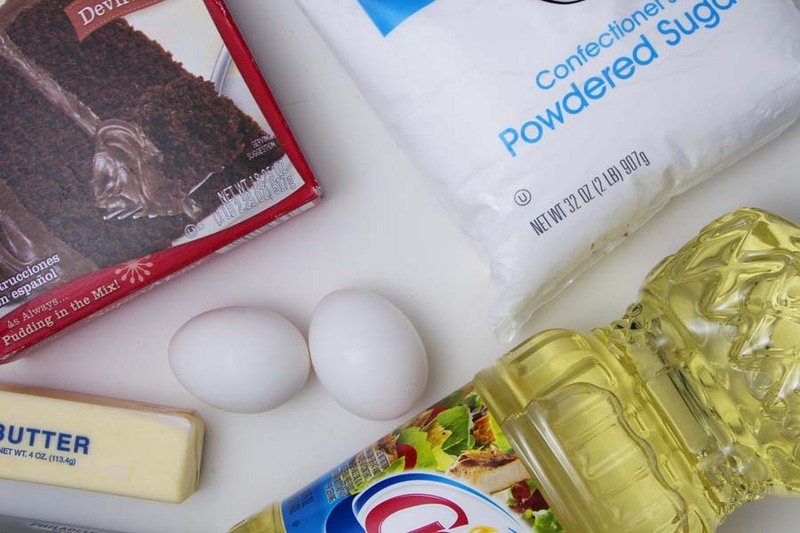 In a large mixing bowl or stand mixer - dump cake mixes, eggs, and oil and mix. This will form a thick batter. 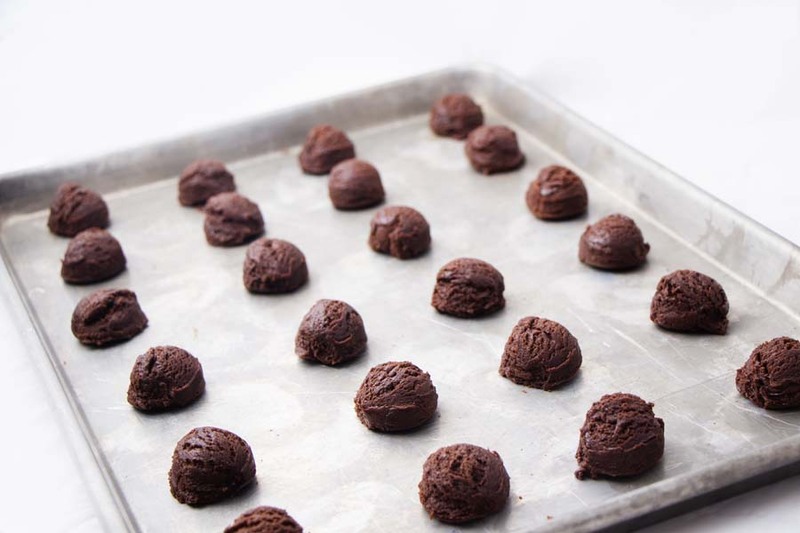 Using a mini cookie scoop - scoop into 1 inch balls and place on a cookie sheet. Bake for 7-9 minutes. Do not over bake. Let cookies cool completely on a wire rack. In a separate mixing bowl - Mix until smooth the softened cream cheese, butter and vanilla. Add powdered sugar until you have a nice thick rich consistency. If it becomes too thick you can always add a little bit of milk - a tablespoon at a time. Frost the underside of cookie and top with additional cookie. 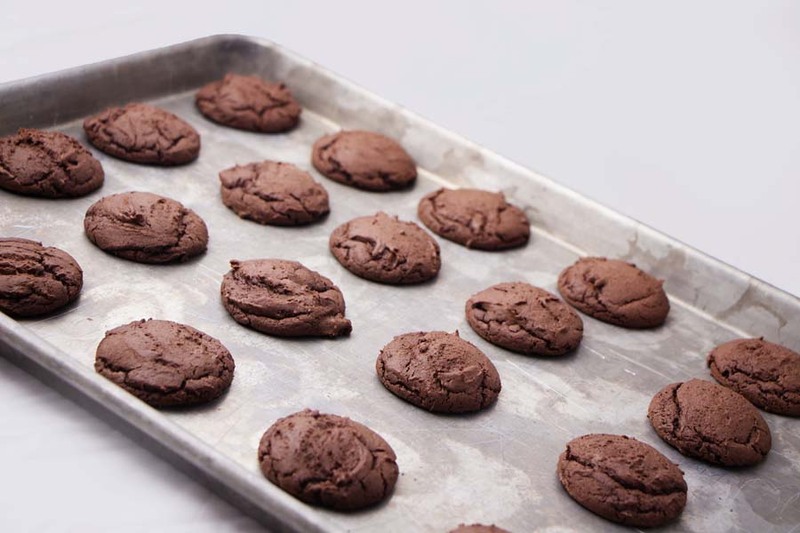 Store leftover cookies in an air-tight container in the refrigerator.